CarePatrol is America's #1 Senior Assisted Living Placement Franchise in Franchisee Satisfaction for the past 7 consecutive years. Founded in 1993 by a social worker after observing the personal trauma experienced by a family whose loved one had been placed in the wrong type of facility, CarePatrol became the pioneer organization of the now thriving senior placement industry. Today, under the careful direction of that same founder, we're helping families make safe choices all over America and are developing our brand with a steady and calculated growth to ensure a superior platform for the support of our franchisees nationwide. 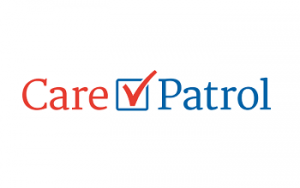 CarePatrol assists seniors and their families with the difficult task of identifying the most appropriate Assisted Living, Independent Living, Memory Care Community or Residential Care facility in their area. Each of our offices are contracted with dozens of providers in their region and are paid handsomely every time a client is placed with one of them. The service is completely free to clients as our franchisees are paid directly by the thousands of providers in our network. It's a business in which everyone benefits and feels tremendous satisfaction every time the service is performed. Other senior placement brands have arisen in the recent past, but only one has remained true to its founding for 20 years with an impeccable track record of operations and an enormous collection of successful entrepreneurs eager to tell their story. Our recent annual convention was attended by 100% of our franchisees in a display of satisfaction and participation that's not only unmatched in our industry, but almost unheard of anywhere in American franchising. Touch People's Hearts: Helping families is a way of giving back to the community and a "gift of new life" for our seniors. If you want to touch the heart of your clients CarePatrol might just be the franchise choice for you. Assisted Living Industry: CarePatrol is not only the leader in Assisted Living Placement (10 times larger than our nearest franchise competitor), but we are well positioned to continue to be that leader for many more years to come. Simple Process: We make our process as simple as possible to ensure the best fit with CarePatrol. The Senior Care Placement model is an exciting opportunity, and we look for for a successful, long term partnerships. Available Territories: Your territory includes us assisting you in negotiating contracts with local and regional assisted living providers in your area. No other franchise offering has as many national corporate contracts as CarePatrol. Training & Support: We have a franchise culture that is the envy of the franchise industry leaders. We believe our franchisees are strategic-partners and it shows in every interaction we have with each other. Our Founders: CarePatrol was started over 20 years ago as a result of seeing the problems that occur because families are seldom equipped nor have the time to find the safest senior living options on their own. Our training is unmatched in the franchise industry because we are committed to your success. You begin by 3 days training in our corporate office in beautiful Gilbert, Arizona. After your 3 initial 3 days training learning about us and how to contract with senior care providers. We will then go to your territory and introduce you to our already established national contracts with the largest providers in the nation. We will also be there to assist you in negotiating additional contracts with local and regional assisted living providers in your area. No other franchise offering has as many national corporate contracts as CarePatrol. Are you ready to change lives and your own financial future?